The U.S. House voted for billions more in Hurricane Harvey relief, but the U.S. Senate is not likely to take up the measure until after the holidays. WASHINGTON – The U.S. House approved billions of dollars for Hurricane Harvey relief funding on Thursday, a move hailed by advocates as a major step forward in repairing the devastated Texas coast if the U.S. Senate follows suit. The hurricane aid was passed in the House alongside a short-term, three-week spending bill that will avert a government shutdown over the Christmas holidays. But the Senate declined to take it up on Thursday and only passed the funding bill. Most of the 36-member Texas delegation voted for the disaster funding, with a handful of exceptions. U.S. Reps. Lloyd Doggett, an Austin Democrat, and Jeb Hensarling, a Dallas Republican, voted against the funding. U.S. Reps. Gene Green, D-Houston, Kay Granger, R-Fort Worth, and Lamar Smith, R-San Antonio, did not vote. In a statement Thursday night, Senate Majority Whip John Cornyn, R-Texas, blamed the measure's stall on Senate Democrats "refusing to cooperate." "Working with Governor Abbott, over the next few weeks I will continue to review the House-passed bill," he said. "Getting the necessary resources to restore and rebuild Texas is my top priority, and I want to ensure the bill achieves this goal." Texas' junior senator, Ted Cruz, lamented the lack of action on the measure in a Thursday-night floor speech. "Texas has worked diligently since August on cleanup and recovery efforts from Hurricane Harvey," Cruz said. "But I am sorry to say that the United States Senate is now leaving town without delivering on its commitment to help Texas, to help Florida, and to help Puerto Rico recover." Assuming the Senate eventually signs off on the full sum – $81 billion – the aid package will be largely split between states and American territories affected by the fall slate of hurricanes as well as states ravaged by wildfires. It's not clear exactly how much Texas would receive from the package. 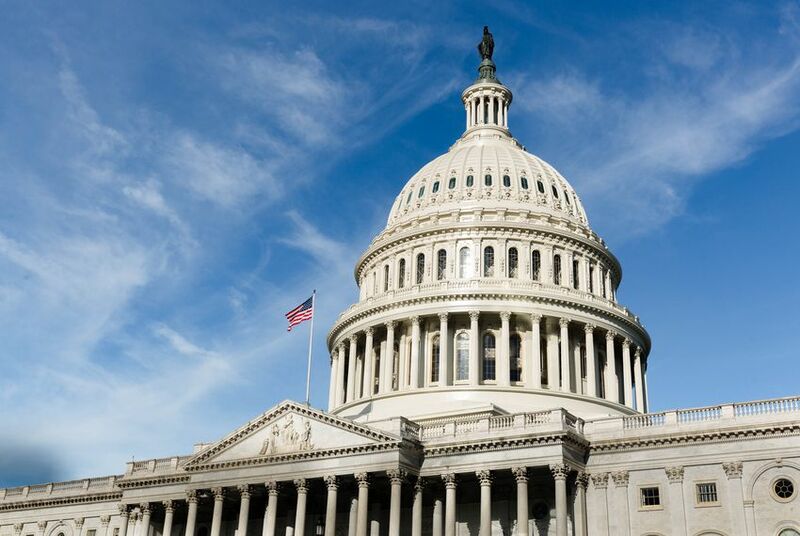 The bill's language directs some funding to the Federal Emergency Management Agency as well as to Army Corps of Engineer projects and grants for housing, small business loans and agriculture assistance. Texans were able to secure the money as part of an alliance with the Florida delegation. "It was everybody,"said U.S. Rep. Ted Poe of Humble, a Republican whose district was ravaged by the storm. "And it was pretty unique because of [us] working bipartisan on a specific issue from two different states." Early on, there were concerns that hurricanes elsewhere in the country could overshadow Texas' needs. Instead, a bipartisan group of Floridians and Texans in Congress presented a united front to party leadership with a clear threat: Up the ante or anticipate major defections on any spending bill from the second- and third-largest state delegations in the country. While not every member of either state's delegations was on board, the potential of the two states' 63 House representatives formed "a strong voting bloc," according to Poe. Politico reported Thursday that Texas Republicans promised House Speaker Paul Ryan that they would vote for a spending bill in order to secure the disaster aid, but now the Senate may present a new hurdle. U.S. Senate Minority Leader Charles Schumer indicated on Thursday that Democrats in his chamber would not support disaster relief without the resolution of other issues, like immigration. Texans initially asked for $61 billion just for the state's own needs and were enraged when the Trump administration's response was a $44 billion package to be split between Texas, Florida and Puerto Rico. Private Texas anger spilled out into public in October, with Gov. Greg Abbott accusing the Texas members of getting "rolled" in a Houston Chronicle interview. As the weeks went by, many observers of the Texas delegation began to worry if the state's clout had faded since the days of former U.S. House Majority Leader Tom Delay's reign in Washington. Delegation members say the turning point came in early December, when a bipartisan group of Texas and Florida members quietly met on a Friday morning in U.S. Rep. Kevin Brady's Ways and Means conference room just off the House floor to plot how best to ally their large delegations to fight for more money. That afternoon, the two delegations released a bipartisan letter outlining frustrations. "[We] presented the case to leadership, let them understand that Harvey was not the so-called typical hurricane...We explained that to leadership and they doubled the numbers," Poe said. The new $81 billion figure is a significant increase from earlier proposals — but it still will be split between Texas and several other regions recently hit with disasters. Texas delegation members credited Houston-area representatives and members of the U.S. House Appropriations Committee for putting up a fierce fight. One Florida Democrat pointed directly to Republican Rep. John Culberson — both an appropriations member and a Houstonian — as effective in reaching out to Democrats. "We're fortunate that we have several appropriators that are bipartisan from Texas and Florida," Poe said. Even after the proposed sum was almost doubled, there is still disappointment from within the delegation that more money was not earmarked for Texas. Some Texas delegation sources were pleased with the funds going toward flood prevention and infrastructure. But there is concern that the community development block grants for housing were not nearly enough. But not everyone agrees with this assessment. Some members consider the $81 billion package to be a political win and fear that pushing a fight for more money right now might provide a window for budget hawks in the Trump administration to slash the current proposal. Abbott, who had criticized the White House's initial request as "completely inadequate," sounded more pleased Wednesday with the revised package, saying it is "clear the House is doing a good job of increasing the amount of money that would be allocated." But Abbott said lawmakers are finding there is still work to do as they have "dug into the details" of the latest proposal. "The strategies that are being used to appropriate that money are not necessarily the strategies that are best for what the state of Texas needs," Abbott told reporters during a visit to League City. "As a result, as we speak today, [Texas lawmakers] are working on ways to restructure that funding so it better accommodates the needs that we have here in the state of Texas." As for the package's chances of passing Congress before the end of the year, Abbott held out hope it could still be done while acknowledging the GOP's tax bill has complicated the timeline. "I am still told to be very optimistic that this plan will pass out before Congress breaks before the Christmas break," Abbott said, "and we will strongly urge them to do so."